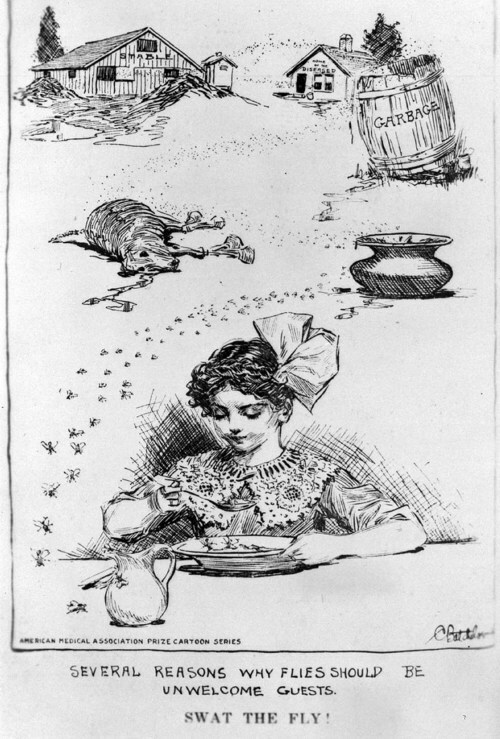 An illustration copied from the Kansas State Board of Health Bulletin demonstrating poor health habits and encouraging people to limit contact with flies. Several reasons why flies should be unwelcome guests. Swat the fly!